You’re never too young to start learning about money management and careers. 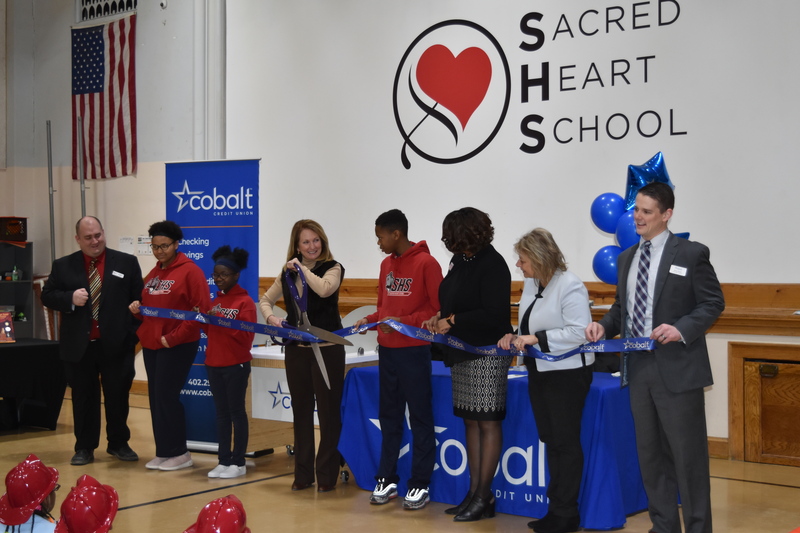 With that in mind Cobalt Credit Union, Nebraska’s largest locally owned credit union opened a new student run branch at the Sacred Heart School located in North Omaha. The new branch will be run by student tellers with guidance from the local Ames Branch of the Credit Union. 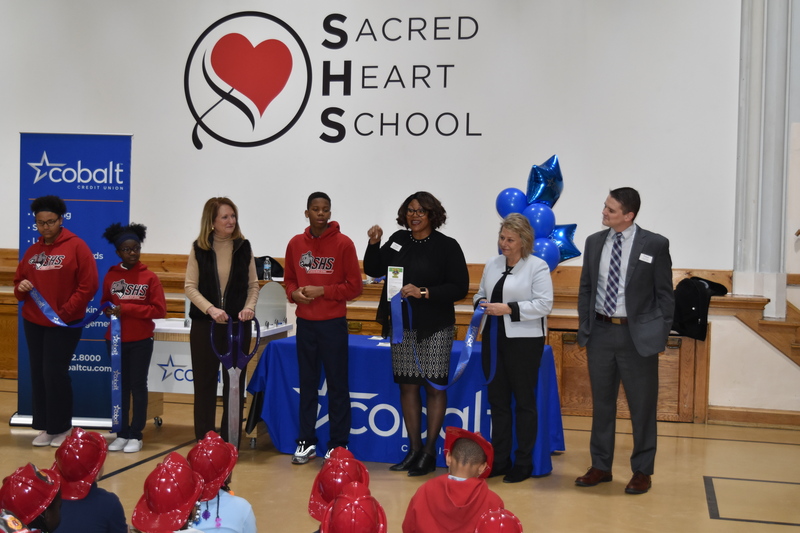 An official ribbon cutting for the new student run branch was held at the school, with student tellers, all elementary school students, teachers and representatives from the credit union taking part. The ribbon cutting was held in conjunction with the school’s career day activities which took place the same day.